It feels so good to finally be able to write a race report from a race where I’m happy with my own performance. 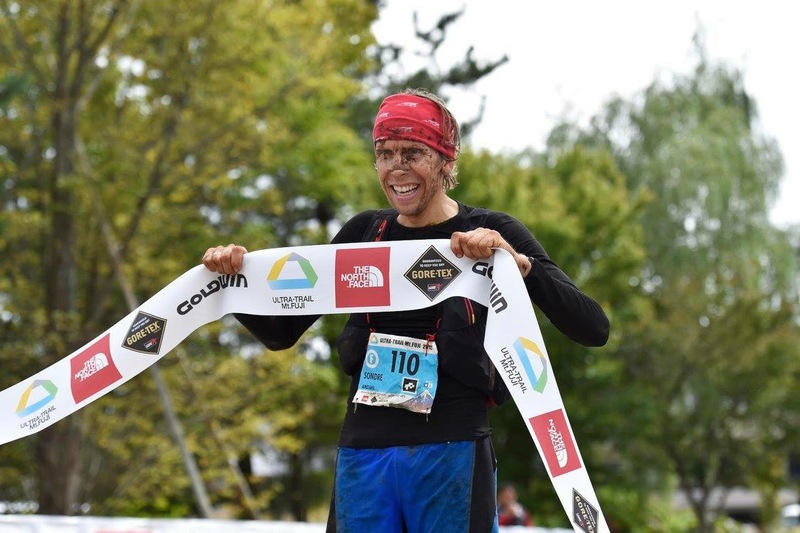 As you might know, I had to stop the Ultra-Trail du Mont Blanc (UTMB) after just 50 km. Since my dissapointing performance at UTMB, I’ve been doubting my self and my own capabilities. Had I raced too many races? Had the season been too long? Ultra-Trail Mt. 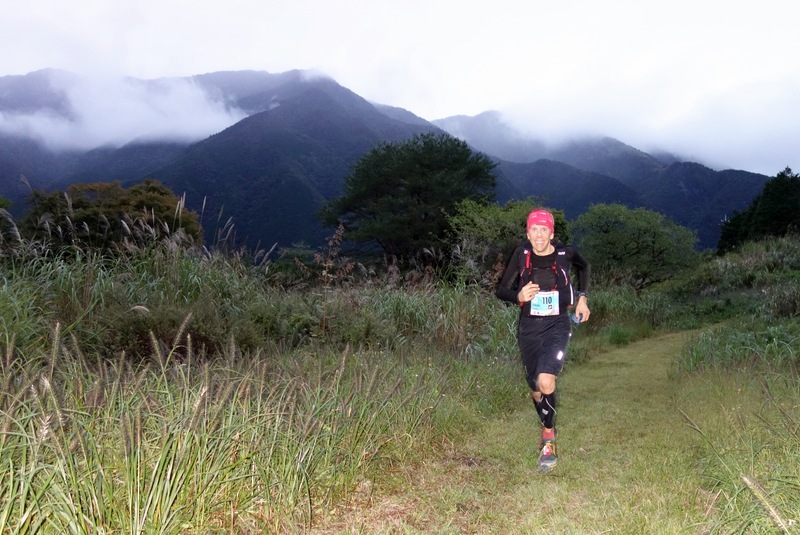 Fuji (UTMF) showed me that I had nothing to worry about. I’m back in good shape and I can still perform at the 100 mile distance! Finishing fourth in such a tough 100-miler was a real confidence booster. I arrived in Tokyo on Monday at the week of the race with my good friend from Norway, Didrik Hermansen. 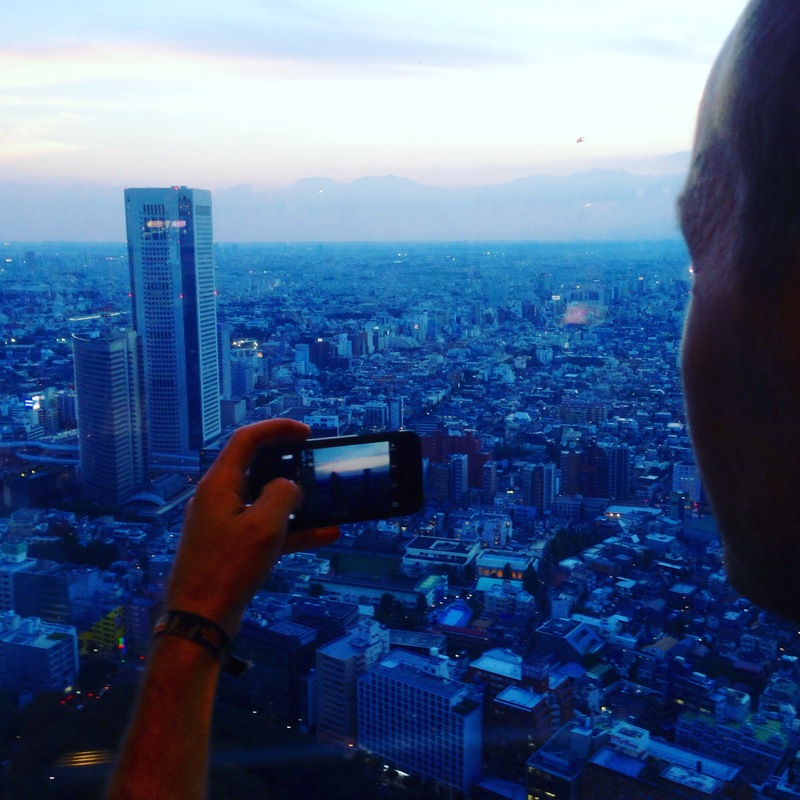 We stayed in Tokyo until Thursday morning, exploring the city and adjusting to the jetlag. We also had time for a couple of short runs around the Imperial Palace. The 5km loop is very crowded with other runners/walkers, but it was close to our hotel, so it was still worth it. Our «local hero», Takky, picked us up in Tokyo on Thursday morning. Takky works for Gore-Tex/Gore Running Wear in Japan and he was our guide and crew for the rest of the weekend. We arrived in Kawaguchiko a couple hours after we left Tokyo. The rest of the day we picked up our start bibs, got our gear checked and had dinner. Japan is not particularly easy for vegans. 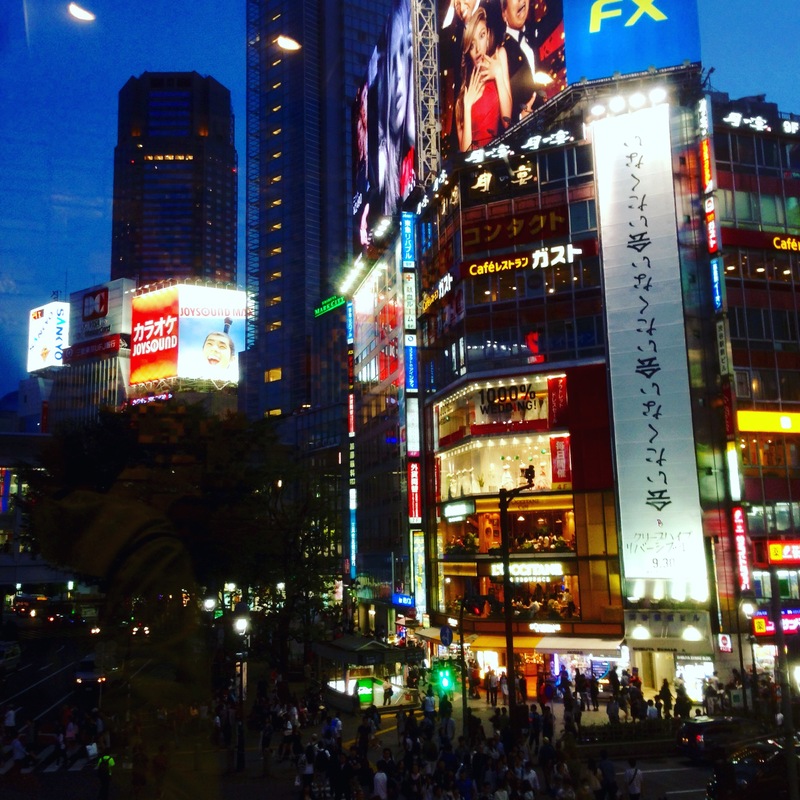 Tokyo was OK, since we tried both Thai and Indian restaurants. 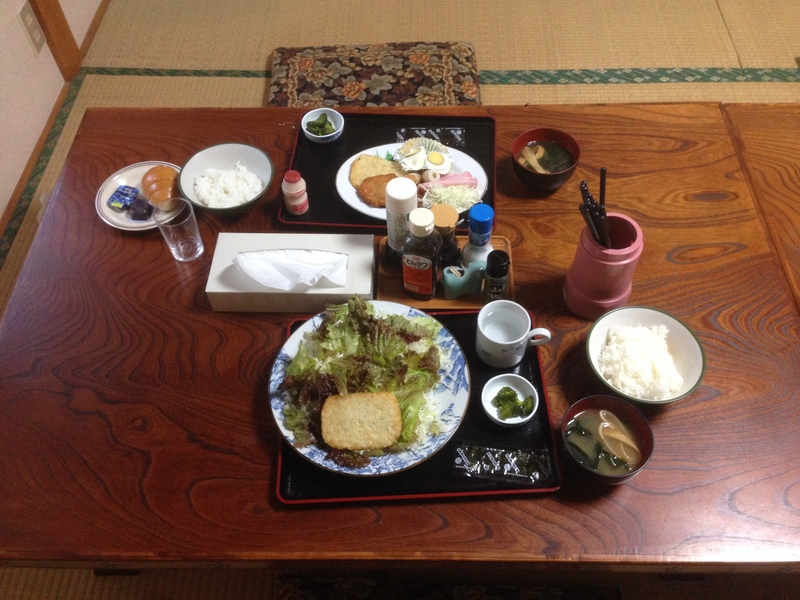 In Kawaguchiko, where the race starts and finished, the only option was to eat at the guest house where we were staying. Japan is not a vegan paradise, but they served salad at least. Friday was race day. Before the start, Didrik and I had breakfast and did some small adjustments to our gear. We choose to use long-sleeved shirts which I do not regret. It was raining for most of the race. The pace for the first couple miles was mellow. I ran with Didrik and Gediminas for a while, and I felt good. It was also super-cool to share the trail with Silvino, a Tarahumare that was featured in the book «Born to Run». Have you read Born to Run? If not, you should! I was pretty close to Gediminas and Didrik for the first 45 km, where we entered the Tenshi mountains. I’ve heard so many horror stories about the Tenshi mountains, so I decided to take it a little easier thru this section. The Tenshi’s is a 25 km. mountain section with lots of ups and downs, mud and very technical trail. In some sections you can not even see the trail, just a random ribbon that shows you where to run (or walk or crawl). I was accompanied by Sange Sherpa from Nepal thru most of the Tenshi mountains. We kept an OK pace, but didn’t push hard at all. After the Tenshi’s it was time to change shoes (from Altra Superior to Altra Paradigm) and get ready for some easier sections. Ultra-Trail Mt. Fuji has a reputation for having lots of running on the tarmac. 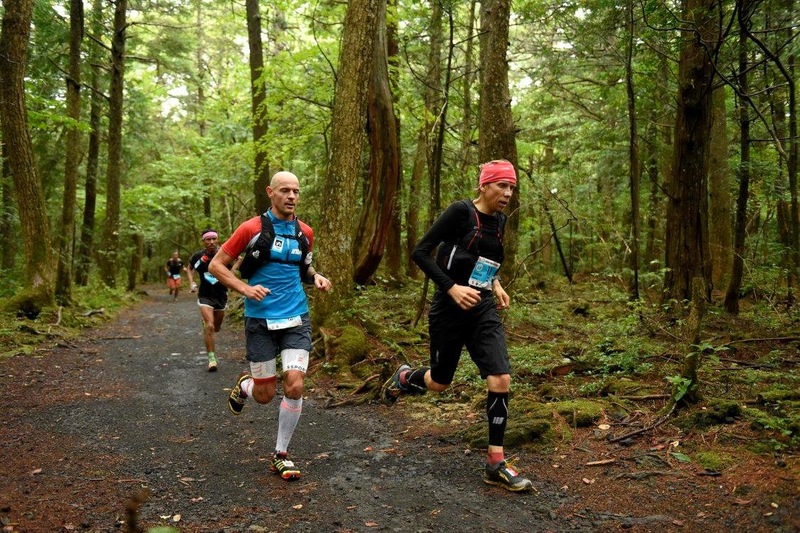 But I think the rumour of UTMF being a «road race» is highly exaggerated! Yes, there are some road sections, but they are not that long, and the tarmac is often mixed with sections of dirt roads/fire roads. In all honesty: I really appreciated the sections with easier terrain, and I feel that the course had more than enough of very technical trail and scrambling. 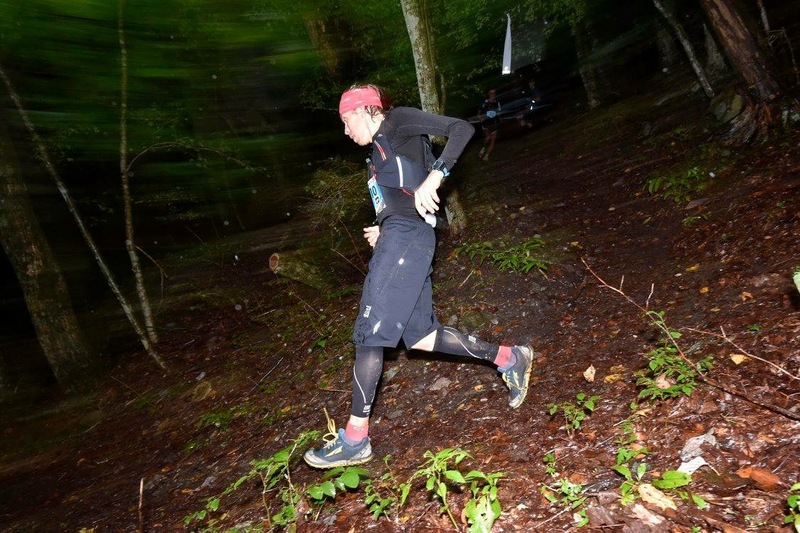 Remember that UTMF is nearly 180km long, and that only 42% finished the race. 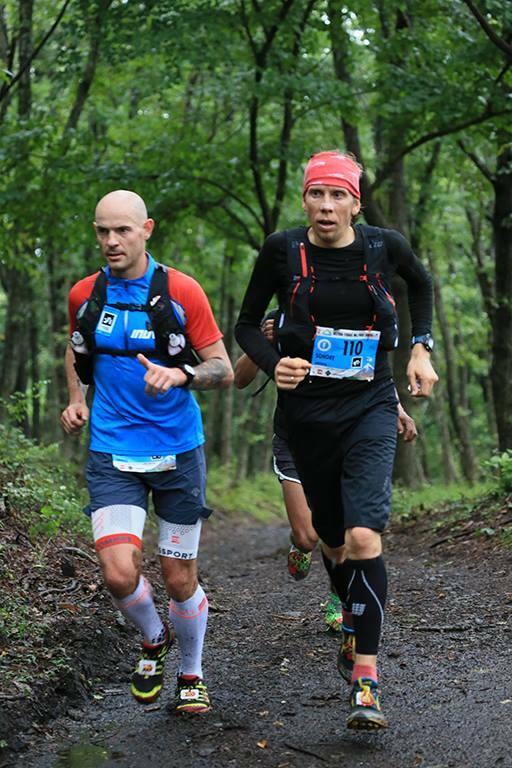 I came into the fifth aid station 19 minutes behind Gediminas after a little more than nine hours of running. I’m very happy with not loosing more than 20 minutes on a world-class runner like Gedimimas (who eventually ended up winning the race). I kept loosing time for every kilometer of running and was one hour behind Gediminas at A6, three aid stations later. A6 is where Didrik had to drop out of the race due to stomach problems. 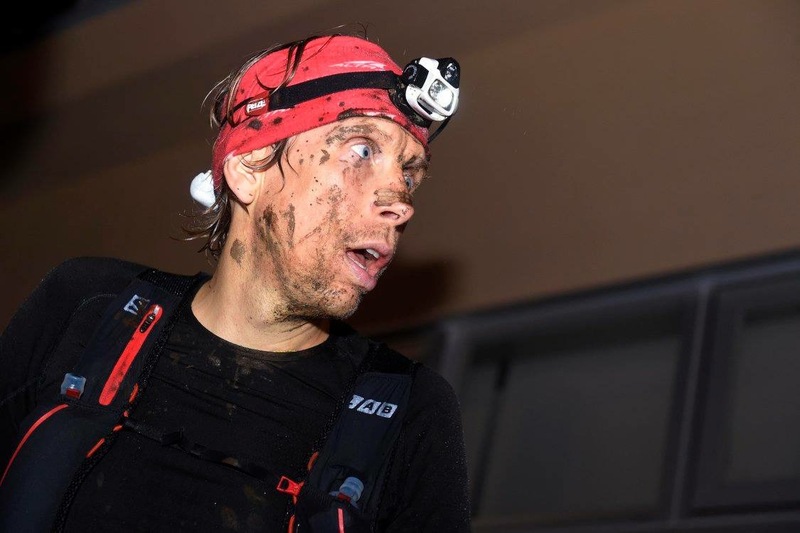 It was obvious that Didrik could not complete the race at a competitive level. Ha had thrown up multiple times and hadn’t eaten for many hours. I tried to give hime some words of encouragement, but knew that his race was over. I feel very sorry for Didrik, but I am convinced that he will come back stronger than ever! Didrik cheered me on and said I could still make top three. After leaving A6, I felt that I had to run for both Didrik and myself. I therefore speeded up on the 10 km. downhill to A7. I kept the distance to Gediminas on this section. After, A7, I started to struggle. I do not know exactly what happened, but it could have been lack of food/hydration. Or just general fatigue? 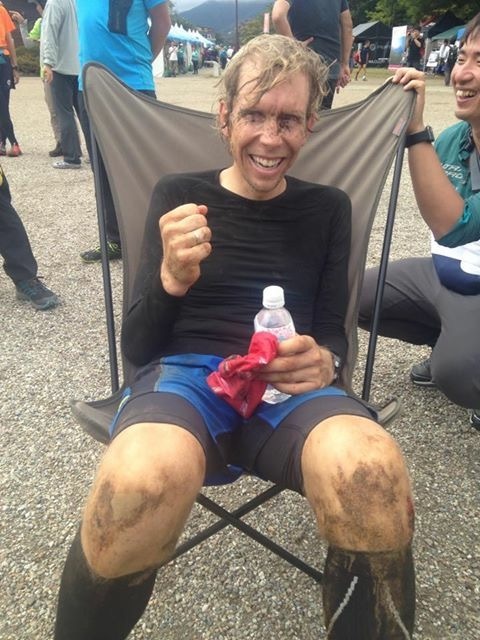 It is hard to keep a good effort level all the way thru a 100 mile race 🙂 Jeff Browning passed me during this period of the race, and I ran in fourth place. I think I spent nearly three hours in this «dark place». It wasn’t until the last aid station that I was able to get back on track. Before this aid station I kept saying to my self that «top ten is good enough» and «just try to finish this damn race». Such thoughts aren’t very productive, and I am proud of my self for being able to turn things around from the last aid station to the finish lane. With 12km to the finish, I convinced my self that I could keep fourth place as long as I pushed hard and stopped feeling sorry for myself. 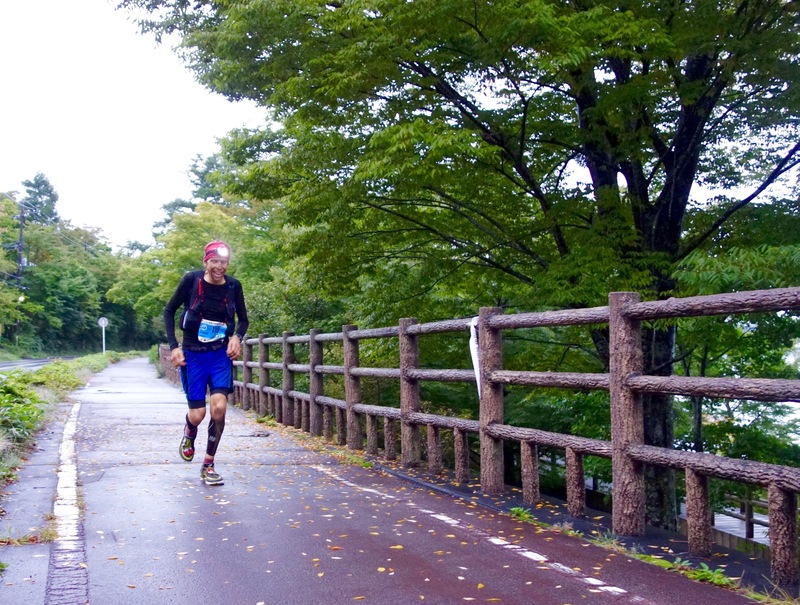 I also got reports that two Japanese runners were running strong behind me. 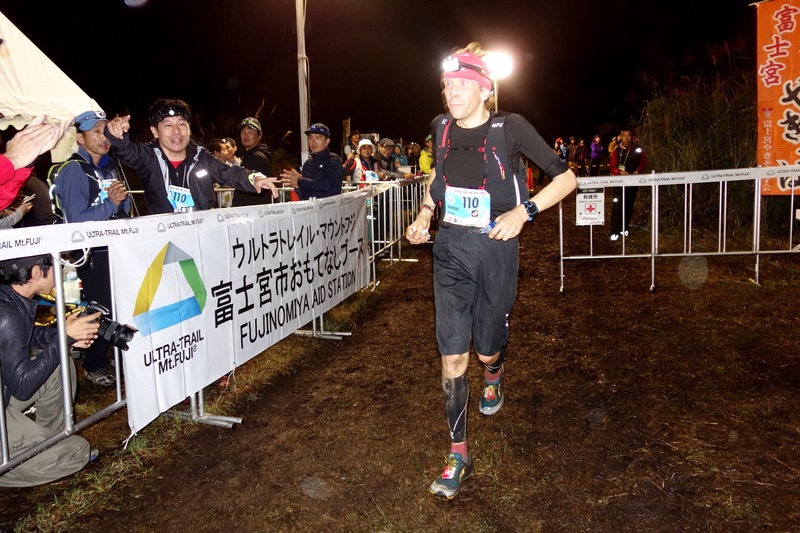 I pushed and pushed on the long uphill after A10 and ran as hard as I have ever run on the descent to the Kawaguchiko lake and on the final three kilometers to the finish. I crossed the finish line totally exhausted, but I managed to keep fourth place, in 22 hours and 51 minutes. I could barely walk from the finish line area to our hotel, two hundred meters away. I have never been so beaten up after a race and it was mostly my quadriceps that took the beating. Base layer, jacket, shorts, Gore-Tex shorts, gloves, hat and underwear from Gore Running Wear. Shoes (Superior 2.0 and Paradigm 1.5) from Altra. Socks (Trail 2.0) from Injinji. Tailwind Nutrition sports drink in two 0,5l soft flasks from Salomon and in my Simple Hydration bottle. Some gels from Vfuel and GU. Garmin 920XT GPS-watch and Salomon race vest. Petal Nao headlamp with two extra batteries. 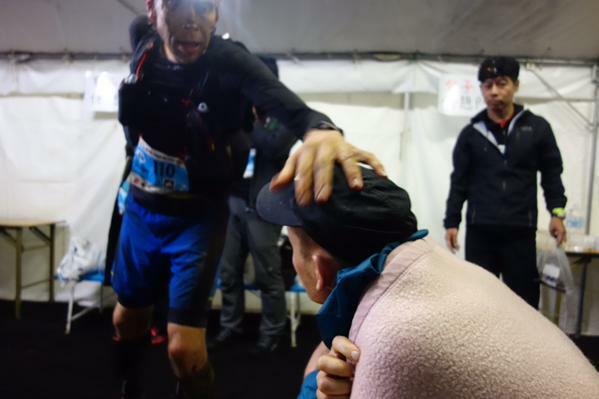 Finally: A huge thank you to Takky from Gore/Gore Running Wear and Takashi from Altra Japan for all the help. You guys rock! Thru the «Suicide forest» with Gediminas and Silvino. This forest is a notoriously common suicide site (in which 57 took place in 2010). 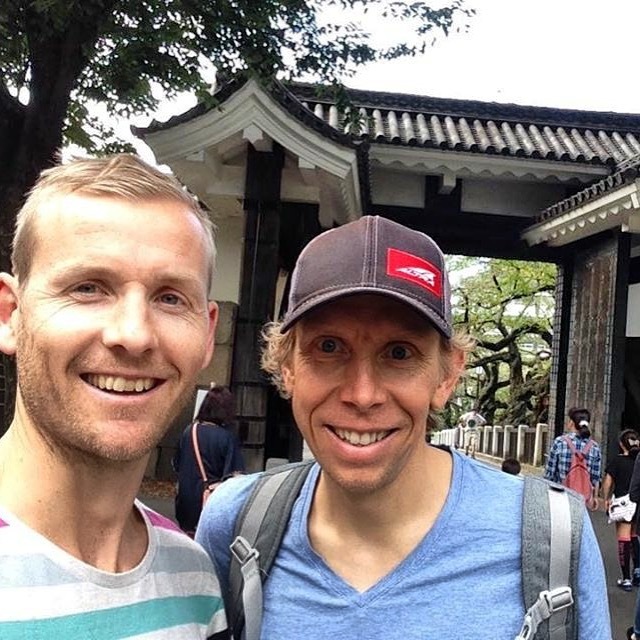 With Didrik in Tokyo before the race. Mixing Tailwind the day before the race.